There and back again... by train. Well I've had a week at the new job now and am releaved to say that I'm really enjoying it. There're a lot of things to learn about the IT Systems of my new employer, there are a lot of new people to meet and acronyms to navigate , but that's all good. My biggest concern really was the traveling. I've swapped a 20 minute door to door car journey in the morning and evening for a 45 minute train journey, with 10 minutes at each end, making it just over an hour of traveling. It was one of my concerns when taking the new role. Would I hate the journey every morning and every night ? which was nice. Good to see she cares... I'm not really sure how much warning you'd get anyway, but I guess it's the thought that counts. Anyway, I'm quite enjoying the journey as it gives me time to catch up on my reading. And I mean 'book' reading... you know... those things without pictures in them? At home I tend to spend all of my available reading time going through a pile of comics, so it's great to be able to get back into books. 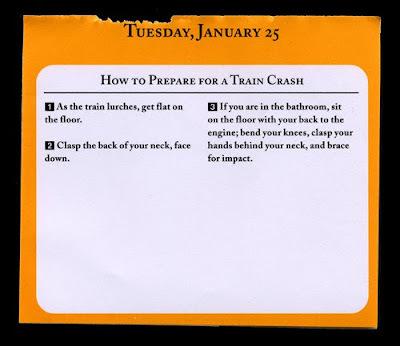 So, what was the first book I read on the train that cold Monday morning? The Solomon Kane Stories by Robert E. Howard, what else? hat an ability Mr Howard had to conjure up fabulous settings, creepy adversaries and compelling central characters. I've read most of these stoties before but I'm still really enjoying re-reading them. The only sad thing is that the movie they made really didn't capture a lot of the mood of the character or the settings. Not as bad, by far, as the Conan movies, I nearly walked out of the cinema for the first one, but not as good as they could have, or should have, been. I think I may have to invest in a Kindle though as it's difficult fitting big heavy books into my back pack, and I'm still not totally convinced I'd make enough use of an iPAD to justify the cost. Decisions, decisions. 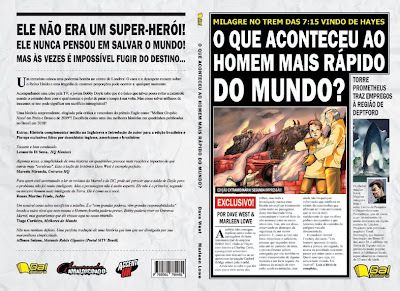 This week I also got some great news from Gal Editora, the publishers of the Brazilian edition of Whatever Happened To The World's Fastest Man? They are going to second print, having shifted almost all of the first edition. They've added some new quotes on the back and a little Second Printing title on the cover image. but the rest of it is unchanged. They've done very well and we're really happy with the relationship. I guess if you live in Brazil, are considering picking up a copy and prefer First Editions, then you might want to pick up a copy sooner rather than later. Well, it's been another really busy week. I won't bore you with the day job details, but it's been a challenging week. Who would have thought it'd prove to be so difficult to leave a job. More interestingly, we've had a good week with regards Accent UK, see below, but sadly I've not really managed to find much time to draw for a while now. 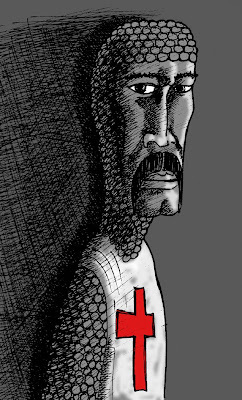 I did play around with a little character development for my Two Templars book, that I'll start once Strange Times is completed. Not sure what his name will be, but I want this book to have a much darker, and scratchier, feel to it than Strange Times ... we'll see how it goes. The guys over at Tales From The Parent's Basement, a comics review podcast broadcasting out of Utah, have joined forces for a special Best Of 2010, with the podcasters who are known a Burnt Weiners. Episode 76 can be downloaded over on talesfromtheparentsbasement.com, and Accent UK gets quite a few mentions ... and none of them bad :o) If you do listen in though I recommend that you have a pen and paper handy as there are a lot of recommendations and although I pride myself on only buying good comic books, I had only read about 25% of those mentioned. 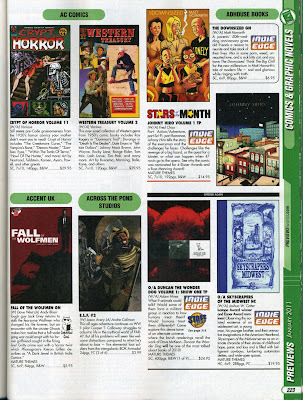 The Fall Of The Wolfmen got a plug over on paradoxcomicsgroup.blogspot.com, as one of the 10 books that they recommend you pick up from this month's PREVIEWS (see scans in a blog post below this one), which is great. 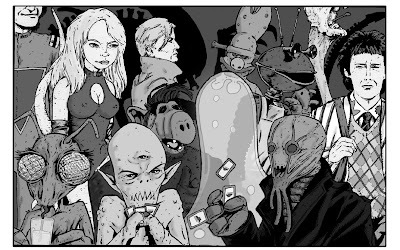 Colin Mathieson and I will be at next Saturday's (that's the 22.01.11) Manchester Comic Mart, shifting some of our own collections, as well as selling the Accent UK titles, so do pop over if you are in the area. 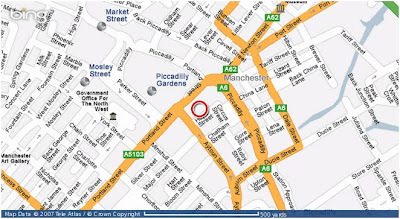 The venue has changed and it is now held in the Thistle Hotel (and not Sasha's), which is in Portland Street, Piccadilly Gardens, Manchester, M1 6DP. In case you haven't got Sat Nav, here's a map. It'd be great to see you there, and maybe grab a coffee and a chat afterwards. Well I've finally managed to get my hands on a copy of the latest PREVIEWS catalogue from Diamond Distribution (number 268), and once again the guys at Diamond UK have done us proud. We've taken on a lot of advice from Diamond UK over the years, which resulted in us improving our books (over a span of some 4 years) until they were good enough to attract the right kind of attention and interest from Retails and Readers alike. It was obvious to me early on that Diamond would have no reason to put down a book that they believed would sell, so if they had problems with something then there would be nothing personal in their view. It's purely commercial, and based on their experience of the market. Their experience of what sells and what doesn't is far greater than mine, so I've always taken their advice very seriously. 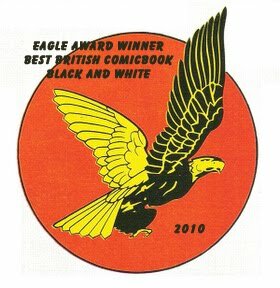 A few years later we took the result of our fine tuning to Diamond UK in the shape of The Wolfmen and the ZOMBIES anthology. The advice from Diamond this time was that we'd arrived. 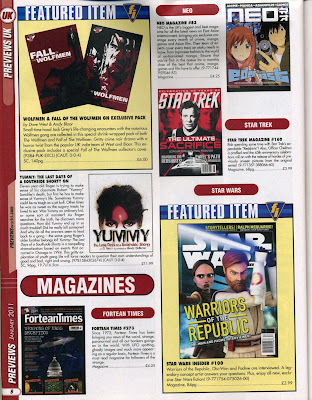 These books would look good on the shelves of Comic Stores across the globe, and they would be happy to recommend these books to the parent Diamond company in the US. 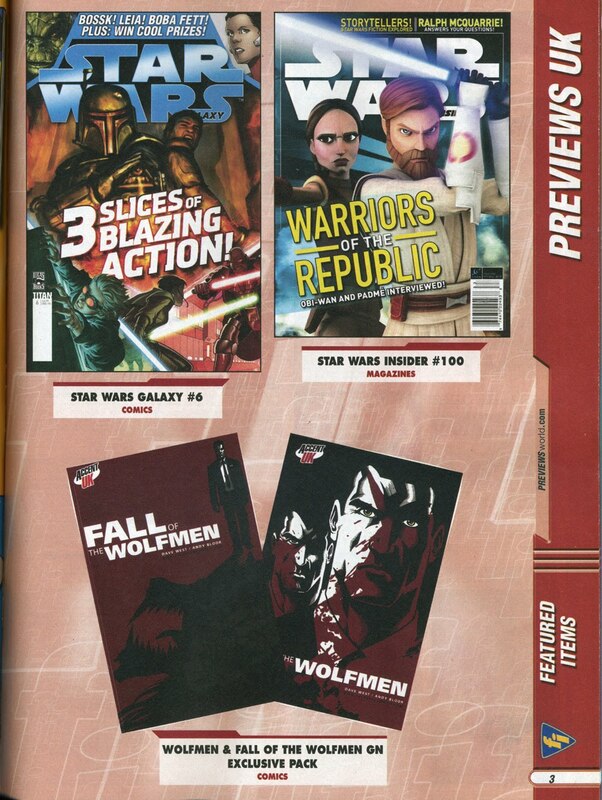 All of the Accent UK books since then have been listed in PREVEWS, and many have had attention drawn to them through Spotlights and other recommendations, and our latest book The Fall Of The Wolfmen is no different. 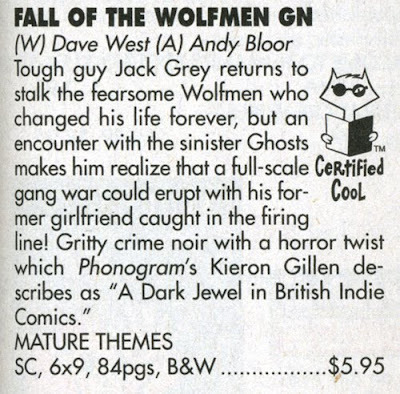 In fact in the PREVIEWS UK section of the catalogue the Diamond Geezers have gone so far as to make our double pack, adding the original The Wolfmen comic, a FEATURED ITEM. This type of added exposure can only help raise the books profile, and we're very grateful. In the global part of the catalogue, which is seen outside of the UK, they've highlighted the book with a CERTIFIED COOL logo. Again this is unexpected and very welcome. 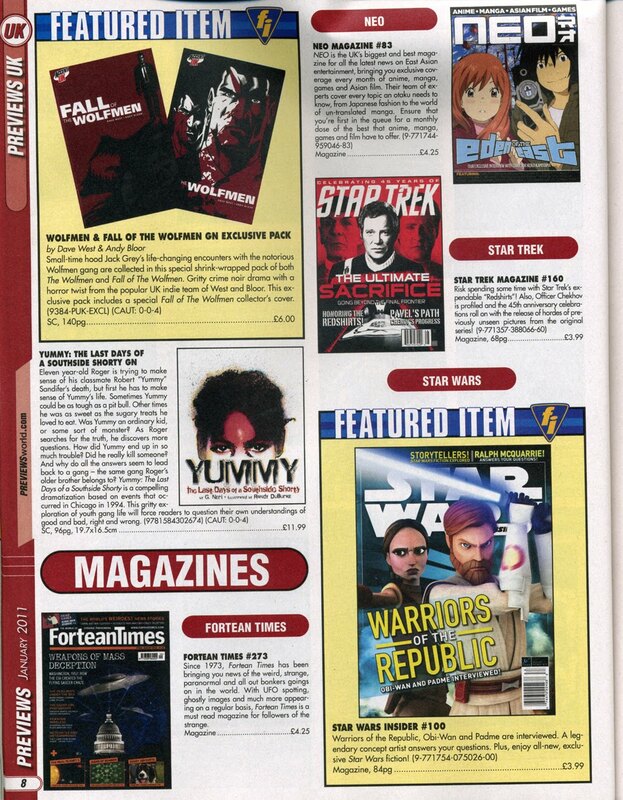 All of this helps with getting our books out there and combined with the reviews we get is very encouraging. It'll be a few months now until we get sales figures from Diamond, but all things considered there's not much more that they could do to push our books. I know they've had a pretty bad press of late, but I will say that they've always been very helpful to us. We respect their input and I believe that they respect our approach to the whole thing. I think it's what could be called 'a win win situation'. Not wanting to start the New Year on a down note, but when will I get rid of this damned Flu Virus ? Not only is it messing up my Bank Holiday enjoyment but has also chewed its way through three days of holiday that I took between XMas and New Year ... due to this I've done little more than sit in front of 9 hours of The Lord Of The Rings with my daughter (and her comment at the end of it all ? ' I prefer Harry Potter...'). A friend at work showed me a book that I found really amusing. It's called Movie Charts, by Paul Copperwaite, and using pie charts (etc) to reflect certain elements, and messages, of films we all know and love. 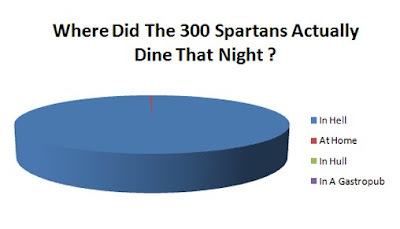 I've not copied any here, but have made one up concerning the movie 300 that should show you the type of thing it contains. Not to evertone's taste I know but it appealed to me. I've made a few New Year's resolutions, in the hope that one makes out beyond January, but am not brave enough to share them with the wider world, as they'd then be played back to me on a weekly basis. 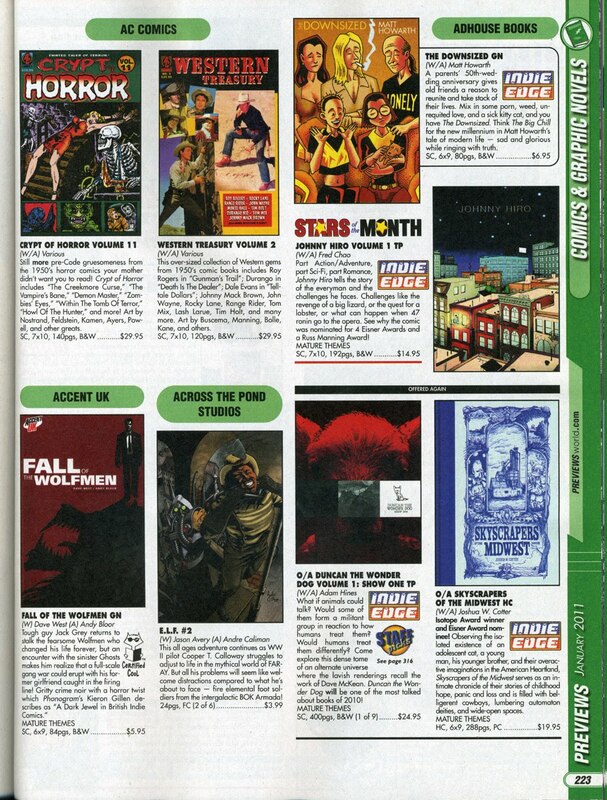 On the comic front, The Fall Of The Wolfmen, written by myself and illustrated by Mr Bloor has been reviewed over on http://www.hypergeek.ca/2010/12/comic-review-fall-of-the-wolfmen.html. 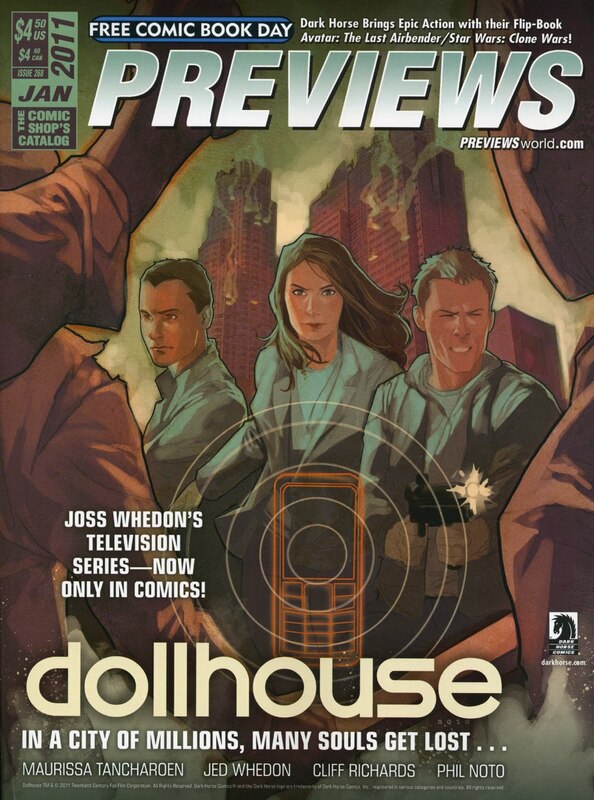 Good timing as the comic itself is listed in Jan's PREVIEWS. if you'd like a copy then now id hte time to pop in to your local comic shop and get them to order one for you. 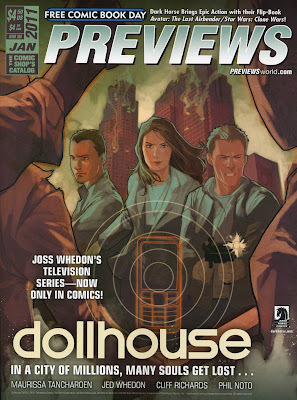 In other news, Steve Holder has a blog up and running over at http://holdersteve.blogspot.com/. Steve and I are collaborating on a couple of projects at the moment. Robot Shorts, a collection of tales about ... Robots .. that are .. well ... short. The stories that is, not the robots themselves. Steve is also illustrating a future Blessed/Cursed comic, but I'll keep that under wraps a bit at the moment.